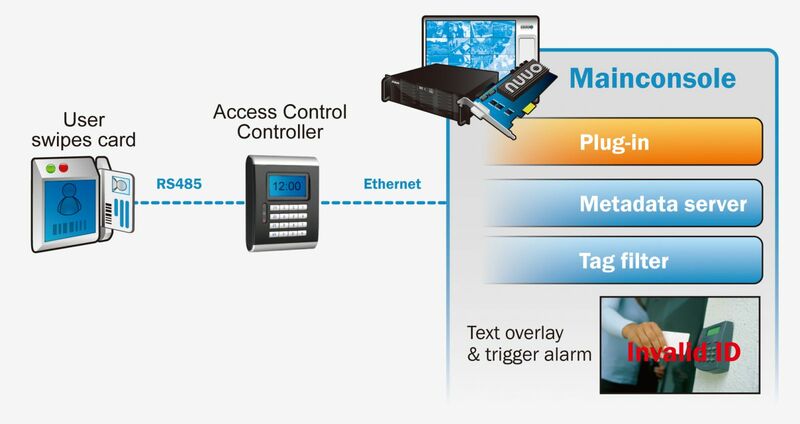 NUUO Access Control for Mainconsole Family | NUUO Inc.
NUUO Access Control solution connects surveillance video with access control systems from 3rd party partners. Card ID, door ID and the other information from the access control system can be displayed on live view or playback and used to trigger user-defined alarms. For example, NUUO Mainconsole sends an alarm to alert the security guard when a fake security card is being used at any access control door reader. The system will store the information from access control and special events in a secured, keyword-searchable database linked to the video footage for easy review. • Display card ID, door ID and other information from access control system from multiple locations. • Up to 10 instant responses for each access control event.